Did I lie? Doesn’t it look snakey? 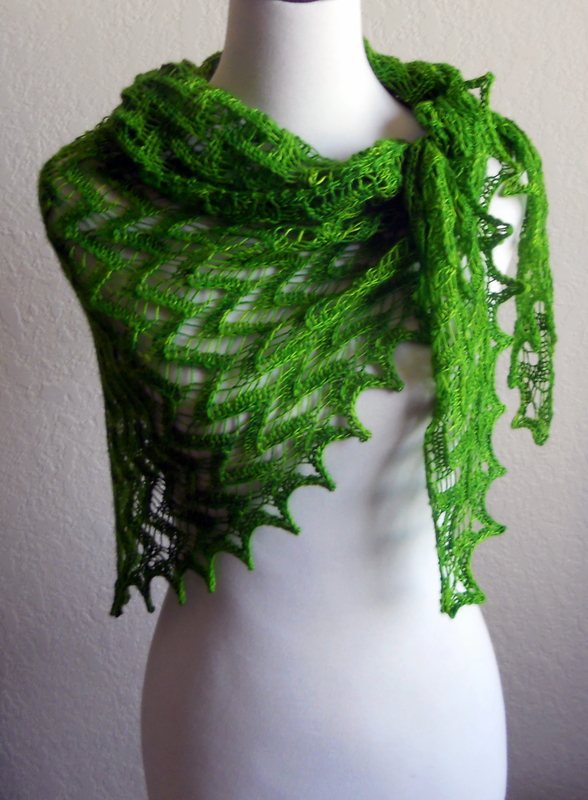 I ordered some more of this same yarn in Candlewick (yellow) so I can do another that isn’t full lace. I was surprised at how large this one got. It’s more than 60 inches across, and I only used one skein. And in a surprising turn of events, I don’t have to go back to work until tomorrow. I may celebrate and knit a hat or something!